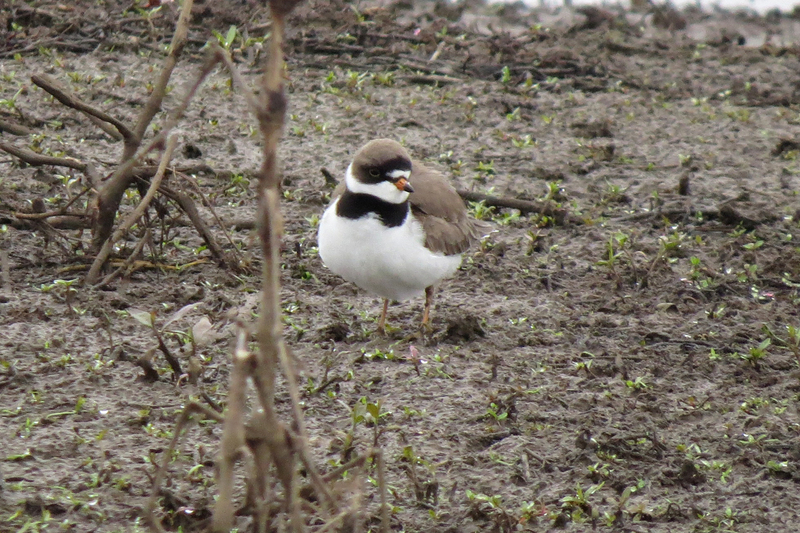 I had hoped to get to the coast this week, but a big weather system was blowing in so I visited Fernhill Wetlands and Jackson Bottom. 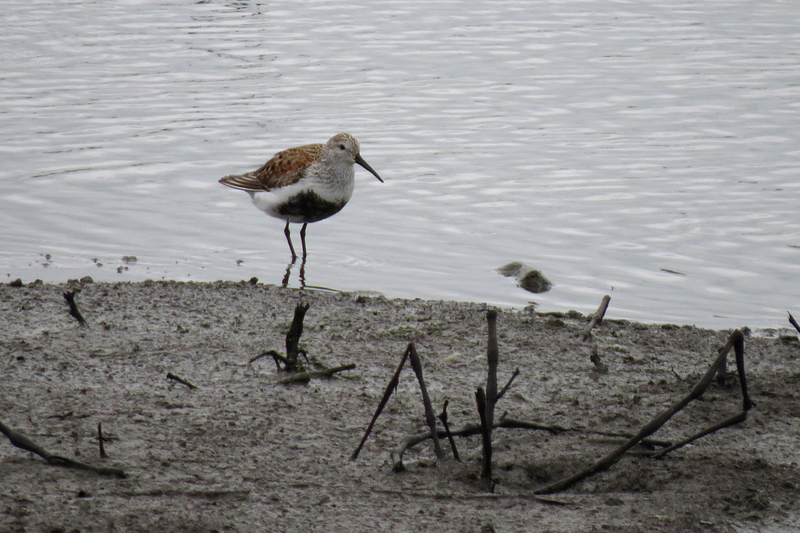 Both sites had a few shorebirds sporting their breeding plumage. 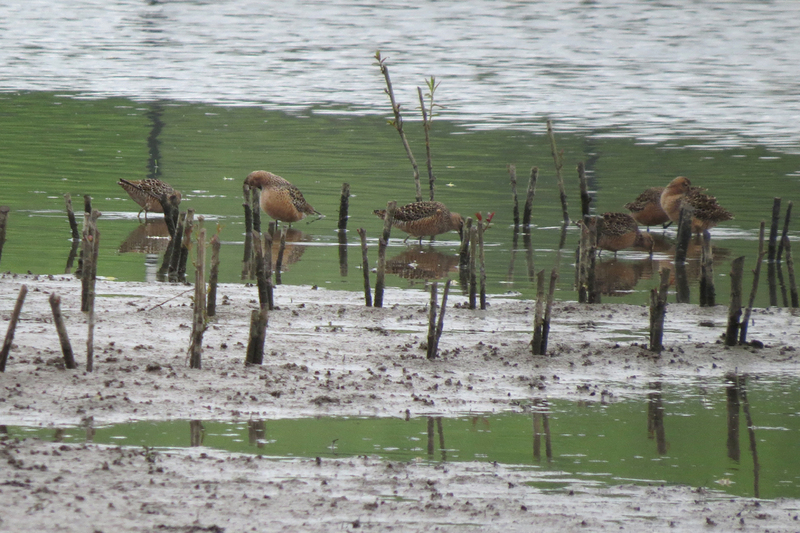 Long-billed Dowitchers at Jackson Bottom. The sticks in the foreground are willow stakes planted by Clean Water Services. As these willows grow, they form a canopy over the mud flats, making the habitat useless to migrating shorebirds. 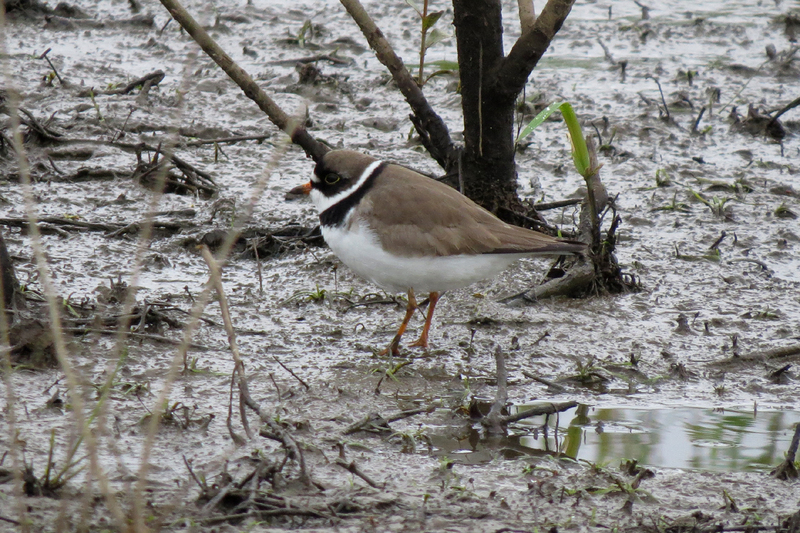 Birders have been complaining about the practice at this site for years, to no avail. 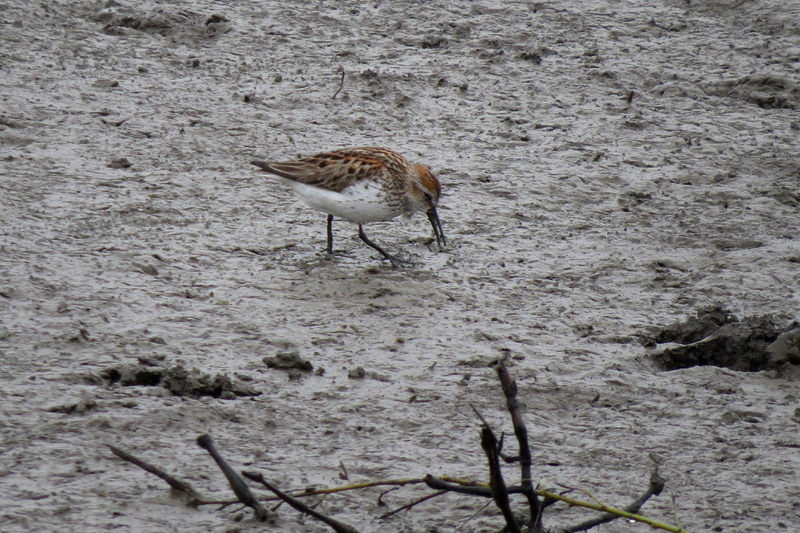 This entry was posted in OR Birding Sites, seasonal movements and tagged Dunlin, Least Sandpiper, Long-billed Dowitcher, Semipalmated Plover, Western Sandpiper. Bookmark the permalink. Wow. Interesting about the plantings. I didn’t know. Nice list of birds. 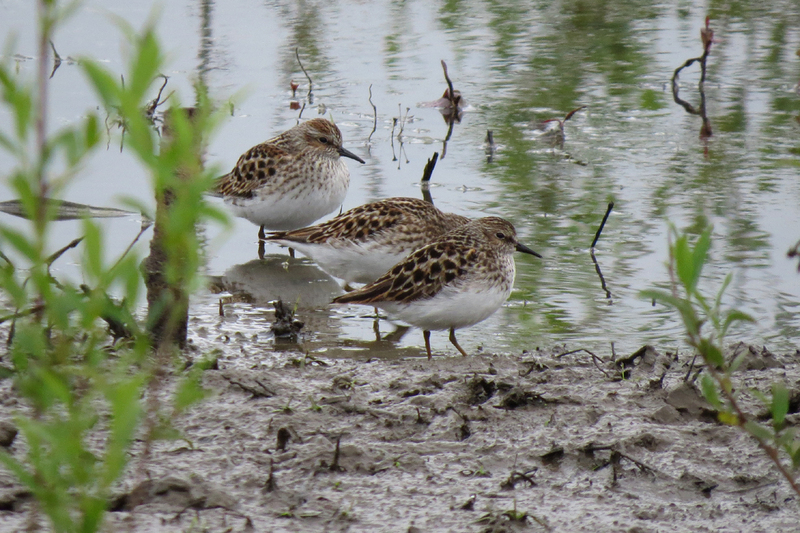 I guess JB water levels are going down now and it might continue to be good for shorebirds. It is my understanding that the planting to build canopy and shade is part of efforts to control reed canarygrass.